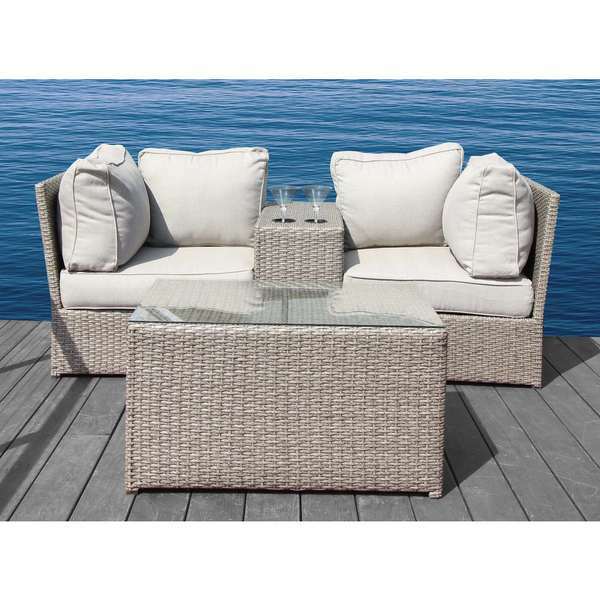 No matter how big or small your outdoor living space, the Chelsea cup table sectional set by Living Source International provides the perfect touch for your patio. With our exclusive 5" thick Ultrasoft Cushion and extra durable cup holder table, this piece comprises the perfect balance of beauty and functionality. This set also encompasses our standard oversized dimensions for increased comfort. Great as an accent piece for those with larger yards, or as the center of attention for any balcony or small patio area, the Chelsea cup table set is incredibly versatile.